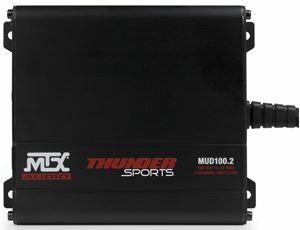 The MTX MUD100.4 is the most compact amplifier that MTX has ever made. This unit features full range class D topology that delivers exceptional sound quality and excellent thermal efficiency. 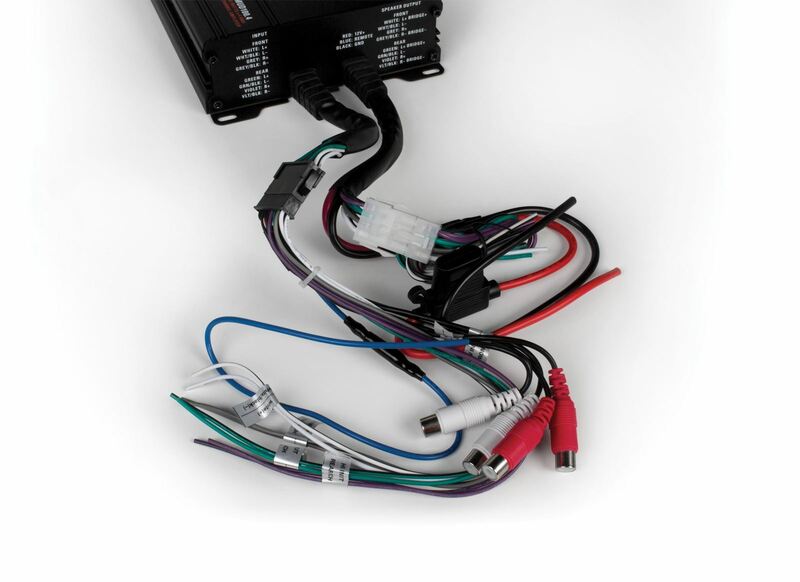 The unit includes 4-channels that are capable of delivering 100-watts RMS power per channel. 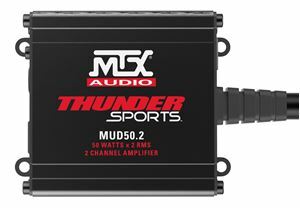 More than enough power to drive a single or dual full range speakers per channel. The MTX MUD100.4 features full range class D topology that delivers exceptional sound quality and excellent thermal efficiency. The unit includes 4 channels that are capable of delivering 100 watts of RMS power per channel. More than enough power to drive an entire speaker system. 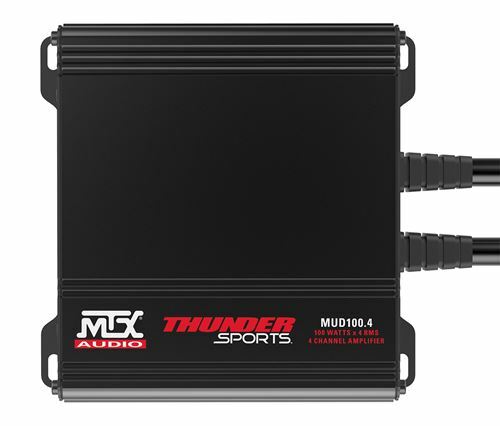 The four channels and full range capability enable the MUD100.4 to drive full range speakers and subwoofers. 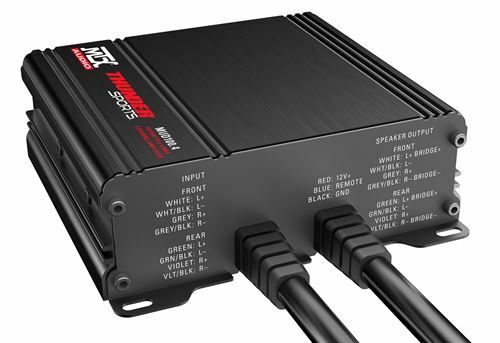 The unit is bridgeable so four channel of 100-watts RMS power can become two channels of 200-watts RMS power enabling more power to be driven to large cage mount or saddlebag lid speakers so you know you will hear your music at any speed.